Samsung Galaxy Beam I8530 was the first ever ‘branded’ projector phone, if I remember correctly. Samsung certainly launched the phone with lot of expectations, but this model was not much successful in terms of sales. 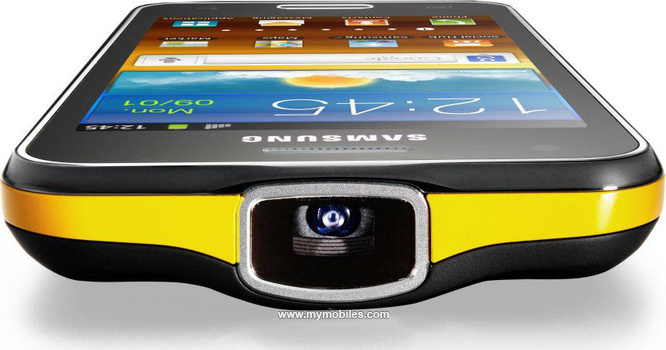 The Galaxy Beam is the smartphone, which intends to replace the traditional projector. It makes user’s enjoy their all the pictures, videos on a big screen such as LED TV. Since, the smartphone consumes lot of resources, decisively the battery drains very quickly, and thus Samsung has provided the two batteries for uninterrupted usage. If you’re one of those users who bought the Samsung Galaxy Beam I8530, and want to unlock the full experience, then follow this tutorial. In this tutorial, we’ve compelled all the steps required to Root or Unroot the Galaxy Beam projector phone. Disclaimer: The rooting is a risky process, and it voids the warranty. Hence, you will need to unroot the device, if you will need to claim the warranty in future. This tutorial comes without any warranty or liability, though steps crafted with proper care. Neither AndroidWeblog.com nor Developer should be held responsible, if your device will be end up as damaged or bricked by performing the steps mentioned in this tutorial. Download the Latest Samsung Drivers. After downloading the drivers, also make sure that you have available Samsung Phones compatible data cable. Before you proceed with the process, the data cable should be kept alongside since it is necessary in between the process. If it the first time when you have connected your Samsung Phone to computer, then it should install the drivers automatically, just you need to allow windows to Automatically Install the Drivers for your smartphone. Make sure to check that battery should be left minimum of 70% before starting the process, since device should not be get sudden shut down/ turn off due to power failure in between the process, since it can damage your device. Disable all the Antivirus and Firewall in your Computer, because they can create some unwanted conflict while process is running, so it is always a good idea to disable them until process gets finished smoothly. Navigate to the Settings>Developers and then check the option USB Debugging to turn on the same. Backup SMS, Contacts and others data for safety purpose of your valuable data. If you’ve followed all of the instruction carefully, which are aforementioned, then you are ready to proceed with the process. Please scroll down on to the below mentioned steps which weve summed up for your convenience.. Step 1: First of all, you must download the three files required for rooting your Samsung Galaxy Beam smartphone. Step 2: After downloading the all of the three files in Step 1, then just extract the Odin compressed archive to anywhere in your computer. Step 3: After the files got extracted, then just Odin (.exe) file and double click on the same to run it. Step 4: Now, your device must reboot into the Download mode. To put the device into download mode, just press and hold Volume Down+Home+Power Buttons together. Step 5: After the device booted into Download mode, it’s time to connect the phone to PC through the USB cable. Step 6: Now, on the Odin interface, just select the option PDA and then Rooted Kernel (.tar) file which you have extracted in Step 2. Step 7: Just click on the Start button, and wait for the process to get finished. Wait in the meantime, and now your device will reboot automatically. After the reboot you will see that your device has been successfully rooted. So here we go! Your Samsung Galaxy Beam has been rooted successfully, using the rooted kernel. If you wish to unroot the device, then just follow the next part of this tutorial. Step 1: Download Stock Firmware for your Samsung Galaxy Beam i8530. Download link. Step 2: Extract the Firmware package downloaded in Step 1. Step 3: Follow the Step 1 to 5 intact from the Rooting section above. PHONE – Select file which is having MODEM in the file name. CSC – The file which included with CSC in the name, select it. Step 5: You need to confirm that Auto Reboot and F. Reset Time boxes are checked in the Odin. Next, just hit the Start button to start the process, which would be completed in in few moments. Step 6: After the process will be finished, the device will get reboot and Galaxy Beam has been unrooted. Now, you can again claim warranty from the company.